Our trucks & warehouse spaces are fully refrigerated to guarantee freshness. 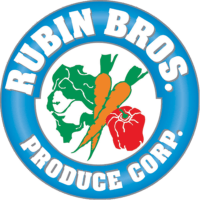 Rubin Bros. Produce Corporation is a third generation company that has built its reputation on exceptional quality and unparalleled customer service. We handle a full line of fruits and vegetables year round. Every order, whether big or small, receives the attention it deserves, and our fleet of trucks is on call 24 hours a day to meet your service needs. Our company distributes the entire line of DOLE® pre-packaged salads and western vegetables in the NYC market, guaranteeing our customers quality of the highest standard. Using a state-of-the-art refrigeration system, our warehouse ensures premium storage and delivery of all your produce items. With our ever-expanding facility that meets both trends in the industry and the advent of new shippers, you can be sure Rubin Bros. is at the forefront of service and distribution. All our trucks and warehouse space are fully refrigerated to guarantee freshness. Whether it’s vegetables or fruit, we have the proper temperature environment to sell your product. Our trucks accommodate local and out-of-state deliveries at any time, day or night.